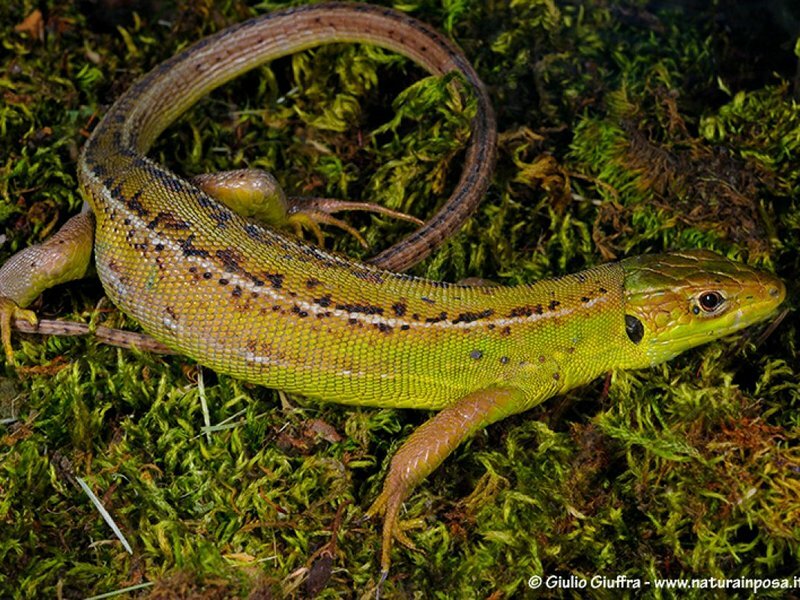 Lizards have a flat and triangular head, flat trunk and a long tail that they can instantly detach if threatened by a predator. 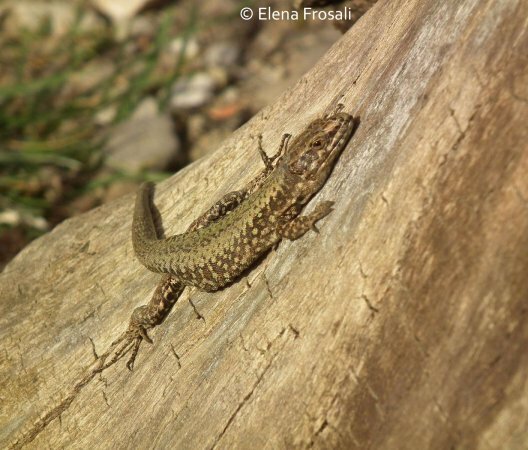 It's very common to encounter lizards while they're sunbathing, completely still in the direct sunlight during the hottest hours of the day, especially in the beginning of spring. 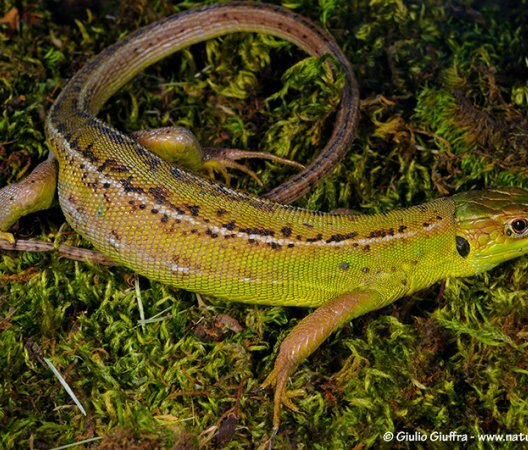 Western green lizard has a peculiar coat: adult males are bright green with dark brown lines on the top and yellow lines on the abdomen. In the mating season, the throat turns to an intense light-blue color. 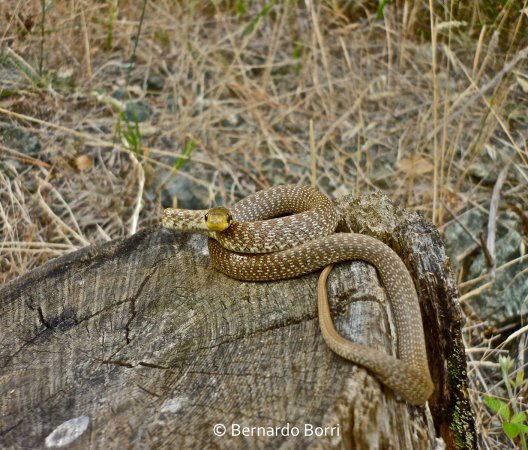 This harmless snake is the most common snake in the Park. 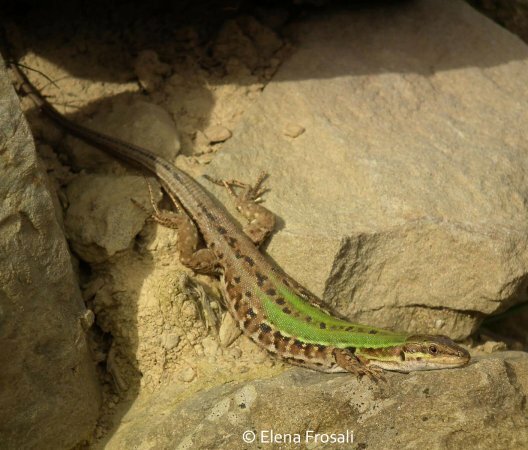 It can reach up to 120-130 cm in length. 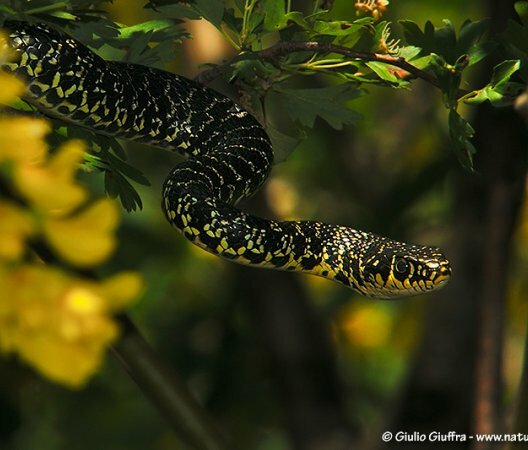 This snake has a lot of dialectal names in the different Italian regions. Most people refer to it as a 'whip' because of the popular belief that it can powerfully strike with its tail if threatened. 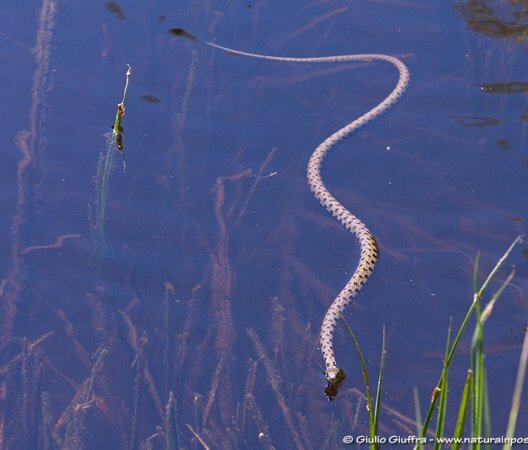 This harmless snake lives amongst water habitats, and mainly prey on amphibians, fish and small mammals. 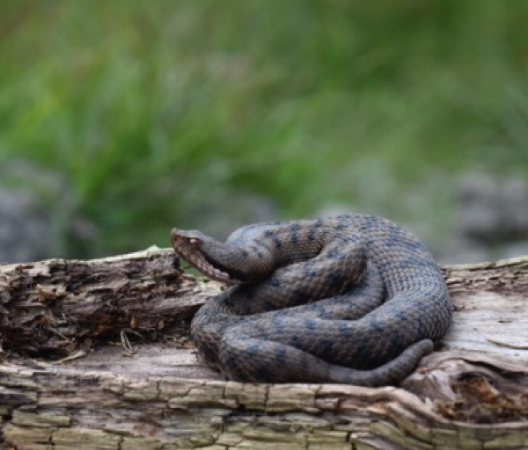 The dice snake lacks the typical light collar of the water snake. This harmless snake has a great cultural and historical significance. It was the symbolic animal of the classical god of healing (Greek Asclepius and, later, Roman Aesculapius); in modern times, the snake became the symbol for human and veterinary medicine and for pharmacy, together with the Aesculapian rod. Asp viper is the only venomous snake in the Park; the bite has been fatal in only 4% of cases. 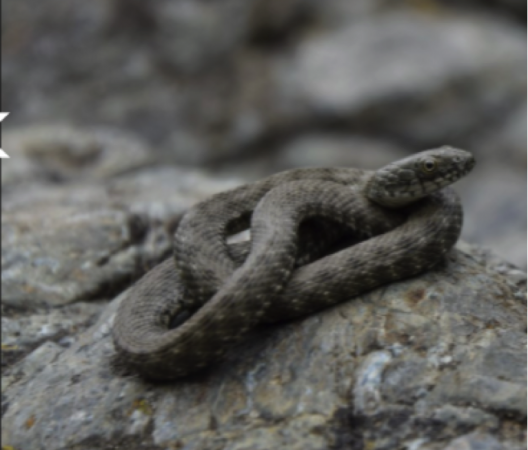 Viper's bite can be very dangerous for dogs: especially for this reason, while hiking, your dogs should always be on a leash. Compared to the other snakes, the viper is shorter (max 85 cm/33 in), with a wider body and a broader head that's triangular-shaped. This is the only native european semiacquatic turtle. 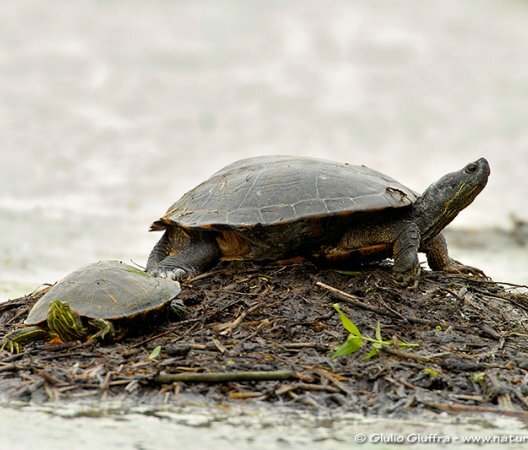 It's an endangered species, and one of the most threatening factors is the cohexistence with the North American pond turtle (Trachemys scripta). This alien invasive species share the same habitat of the European pond turtle, but it's more aggressive and adaptable allowing it to more easily win in competition for food and space.